The Colt 1911 has been one of the most long lasting durable handgun designs. 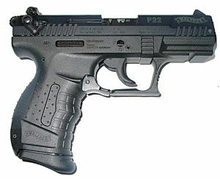 It is widely copied making it one of the most common handguns in the world. Ready Holster announces the release of a low profile concealment holster for 1911 Pistols. SALT LAKE CITY, UT (12, July 2011)--- The Colt 1911 was designed by John Browning and manufactured by Colt Firearms for the U.S. Army in the year 1911. The design proved to be very reliable and successful. When the original patents expired for the Colt 1911, the design of the firearm was widely copied by other gun manufacturers. This has led to the 1911 being one of the most common handguns in the world. Ready Holster announces the release of a new concealed holster for handguns based on the 1911 design. “The slender design of the 1911 makes it an ideal gun for concealed carry,” said Rose Jones, chief of product development for Ready Holster. “Our goal was to design a low profile concealable holster that would accentuate the slender design of a 1911 and would not add extra bulk when carrying concealed,” Jones continued. Ready Holster uses a simple design to keep the profile of the holster as small as possible. “We wanted to keep the bulk of the holster at a minimum. However, we also wanted to make sure the holster protected the surface finish of the gun,” said Jones. “We accomplished this by using soft fabric to line the inside of the holster, combined with ballistic nylon for the outer layer of the holster. We made the holster without retention straps which saved the extra bulk of using nylon webbing that would be required to hold retention straps,” continued Jones. Ready Holster designed the concealment holster for inside the waistband use. It is fastened to your waistband with a metal clip. The gun and the holster are retained tight into place by wearing a belt which goes over the clip. Ready Holster was started 2010 by Matthew Prestwich. He saw the growing need for holsters and has been rapidly expanding Ready Holster since its creation.